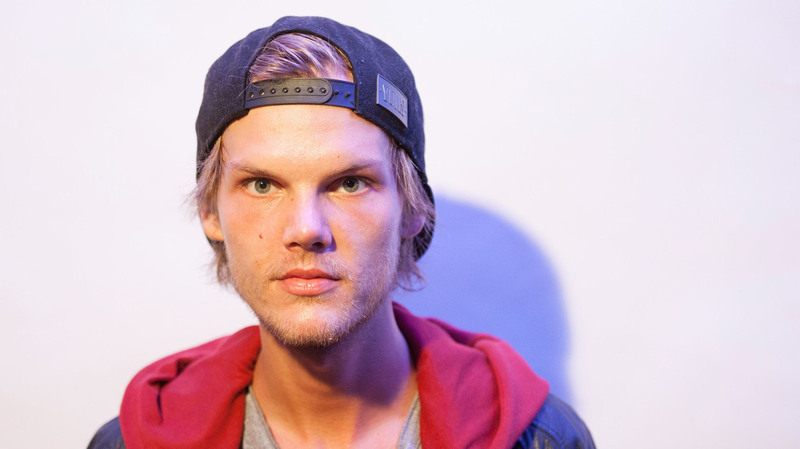 EDM Superstar Avicii Dies At 28 : The Two-Way Tim Bergling, a Swedish dance wunderkind and one of the most successful DJs in the world, was found dead Friday in Oman. Born Tim Bergling, Avicii rose to worldwide fame quickly beginning in 2011 with the release of "Levels" and earning a Grammy nomination just one year later for his David Guetta collaboration "Sunshine." Although he never reached the top of Billboard's main album or singles charts, his work was designed to appeal to the largest audiences possible, fusing broad dance textures with pop melodics, an approach that led his song "Wake Me Up" to become the most-streamed song on Spotify at the time. Eventually, the young artist rose — along with a massive expansion of the dance music festival scene worldwide, thanks in part to the promotions company SFX — to be one of the busiest EDM artists in the world, bringing in a reported six figures per show. Because of that, Avicii came to typify the freewheeling, popped-cork escapism of Las Vegas dance clubs and Ibiza nights — even garnering a Saturday Night Live parody along the way. As a writer for GQ put it in a 2013 profile, at the height of his fame, the DJ was "subsisting on a diet of Red Bull, nicotine, and airport food." And by 2016, he was already sunsetting his own career, in part because of the toll the lifestyle had taken. "Two weeks ago, I took the time to drive across the U.S. with my friends and team, to just look and see and think about things in a new way," he wrote in 2016. "It really helped me realize that I needed to make the change that I'd been struggling with for a while." Reportedly suffering from acute pancreatitis caused in part by excessive drinking, Avicii decided to recuse himself from the busy, party-filled life of a world-famous dance DJ, canceling his remaining dates. "This was obviously the hardest decision of my life so far," he told The Hollywood Reporter in 2016. "But so far it has paid off tremendously in terms of well-being for me. I'm happier than I have been in a very very long time. Stress-free more than I have been in a very long time. I can't say I'm never going to have a show again. I just don't think I'm going to go back to the touring life." The producer did, however, return to music in August 2017, one year after his self-imposed exile, releasing the EP Avici (01) in August. "This is the first year I felt like I've been able to kind of live normally for the first time in eight years or something." Speaking about his 2017 documentary, Avicii: True Stories, director Levan Tsikurishvili, a personal friend of the DJ's, told Variety, "That life can look exciting and glamorous on Instagram and social media, but you don't really have any idea what's going on behind that."